Figures, facts, famous people, and an on-stage drag race!! 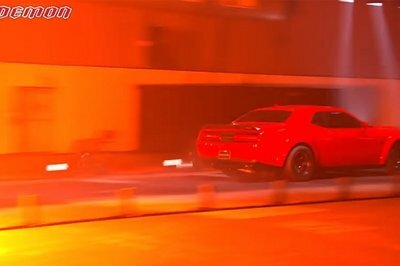 The 2018 Dodge Challenger SRT Demon is a secret no more. Surely by this time you’ve read the stats and seen the incredible wheelie this drag-pack special does when launching hard off the line. If not, check out our full review here. We’re here to talk about Dodge’s big reveal – the big party that went down Tuesday night, just hours before the kickoff of the 2017 New York International Auto Show. It started off at 8:00 p.m. with a tedious countdown. Mopar fans, along with Chevy and Ford folks, watched in anticipation for the Demon. 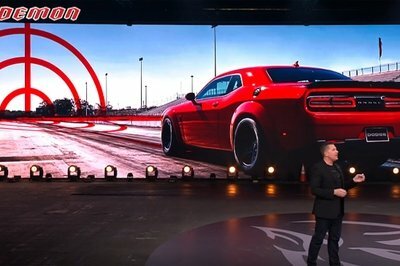 THREE… TWO… ONE… the timer runs out and TV personality Chris Jacobs introduces Dodge’s huge display, along with the crowd of people live streaming the event from around the world. The pleasantries move along when NHRA Top Fuel Dragster Leah Pritchett joins Jacobs to banter about the Demon. Turns out, she’s not just some spokeswoman or pretty face, rather she actually helped test the Demon during its development. How cool is that? 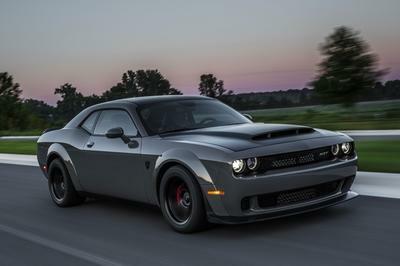 Craig Jackson, namesake of the Barrett-Jackson car auctions, then speculates on how much the first production Challenger Demon might sell for. “It’s hard to say, but based on what the Hellcat did at $825,000, it’ll be a lot.” Jackson isn’t kidding. 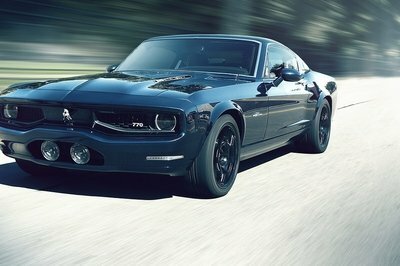 The Demon might indeed break auction records when it goes under the hammer sometime this fall. Then things start rolling with a big, yellow Viper. 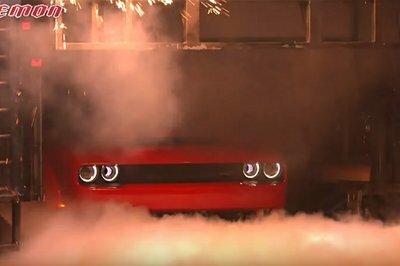 Yeah, it’s not the Demon, but you won’t want to miss the big, smoky, tire-shredding video but out by Dodge and Pennzoil. You won’t even care it’s a marketing stunt. Continue reading for the full run-down on Dodge’s Demon debut. After some marketing speak from Pennzoil’s VP of Marketing Patty Lanning, we’re treated to the video above, entitled The Last Viper. It’s a tribute to the outgoing Viper, which is leaving after the 2017 model year. The video is highly theatrical with quick cuts, slow-motion action, and a larger-than-life plot. Nevertheless, it certainly paints the Viper in a great light. Dodge’s V-10 supercar will definitely be missed. After that, it’s more marketing. Yeah, Dodge has definitely been spending big bucks to promote itself and its vehicles. A major chunk of that budget undoubtedly went to the Fast & Furious franchise, capped by the upcoming Fast 8 move. Promoting the Dodge and Fast & Furious partnership at the Demon debut were FCA’s Chief Marketing Officer Olivier François, Atlantic Records President Kevin Weaver, and rapper Wiz Khalifa, the singer of the iconic Paul Walker tribute song from Fast 7, See You Again. As it turns out, Khalifa’s song is quite the hit, having racked up three billion views on YouTube and is on its way to becoming the most viewed music video of all time. The song is also ranked by the Guinness Book of World Records as being the most-consumed digital single ever. That’s some serious street cred. 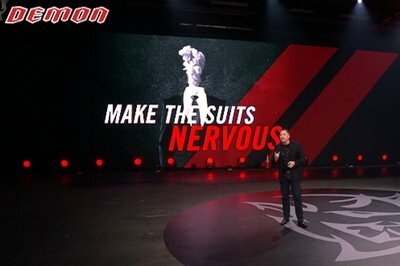 Then, finally, after yet another countdown… Tim Kuniskis, President of Dodge, took the stage to introduce the Demon. The inevitable question of “why build the Demon” is answered, too. Kuniskis says it’s the quest to build a vehicle that goes faster than the last one. Dodge says the Demon can be summed up in one quote: “Most cars attempt to be everything to everybody. Then there are a few that revel in a singular objective, rendering them totally irresistible to a subculture. 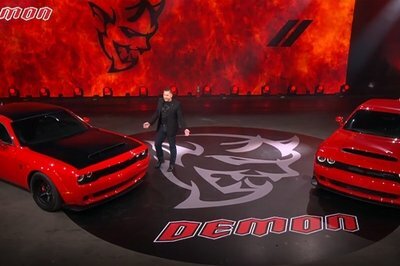 The Dodge Challenger SRT Demon is conceived, designed, and engineer for a subculture of enthusiasts who know that a tenth is a car and a half second is your reputation.” It’s that reputation – both of Dodge and its customers – that the Demon is responsible for upholding. Kuniskis finally transitions into talking about the Demon. Stats start flying. If you’re watching the video, It’s at the one hour mark. So here’s how things shook out. Dodge reduced the Challenger’s weight by 200 pounds, removing all but the driver’s seat. Those wanting more comfort and everyday usability can purchase the front seat for $1. Yeah, a dollar. The same is true for the back seat – it only costs $1. The Harmon/Kardon audio system is also available, though it’s doubtful Dodge will only charge a buck for that upgrade. 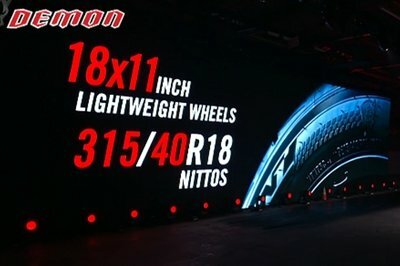 When it comes to traction, the Demon runs on 315/40R18-series Nitto drag radials mounted on lightweight wheels. That’s an industry first. The tires were developed specifically for the Demon, both with its tread design and compound composition. Then Kuniskis slips the Demon’s weight: 4,200 pounds. That’s not light, so Dodge worked on the mechanicals and electronics to get the car moving. The Demon’s front suspension is designed so that it lifts as quickly as possible under launch, shoving the Challenger’s weight rearward onto the drive tires. This gives the tires even more grip, allowing them to hook up, wrinkle the tires, and launch forward. Should the driver get out of the throttle, electronic nannies help the car stay straight, avoiding the wall. As for launch power, the Demon has the ability to cut fuel to individual cylinders, pull timing, pre-fill the supercharger, and lock both the input and output shafts of the transmission – all at the same time. None of this has ever been put on a production car. These features give the Demon the ability to pre-stage at a drag strip, just like the hand-built dragsters. Specifically, the Demon can pre-stage with eight pounds of boost built up in its supercharger and will reach full boost just six feet off the starting line. Dodge didn’t just retune the Hellcat engine for more power. A vast majority of powertrain components are new. Kuniskis broke it down into three steps. 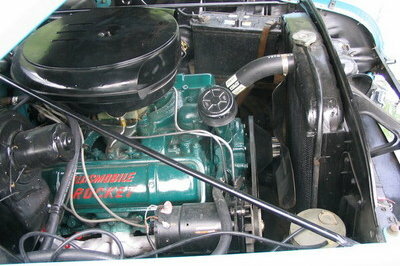 The engine itself underwent several modifications to make it more powerful and stronger. A new 2.7-liter supercharger now generates 14.5 pounds of boost (up from 2.4 liters and 11.6 pounds of boost in the standard Hellcat). It gets a Demon-specific crankshaft, connecting rods, and pistons; dual fuel pumps with high-flow injectors; new camshaft and upgraded valvetrain. A new Direct Connection engine controller allows the switch between 91-octane pump gas and 100+ octane racing fuel on the fly. There’s a total of 97 new parts in the engine. The block itself is borrowed from the Hellcat, but Dodge machines it differently, while the cylinder heads carry over unchanged. Kuniskis moved seamlessly into talking about car insurance. Yeah, ironically enough. While this is hardly protocol for a major vehicle debut, the afterthought of buying a policy on a limited-edition, street-legal race car with 840 horsepower does seem daunting. Even that smooth-talking Gecko might shy away. 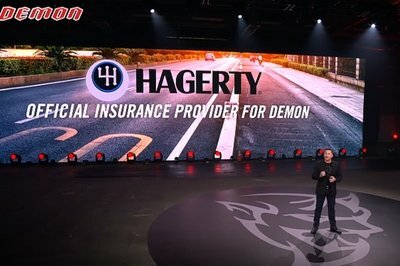 But not Hagerty – one of the largest insurance companies for classic and high-dollar vehicles. “We know we have an obligation to not only give you power that’s unparalleled, but we need to give you the tools to actually use it – the ability to put our performance to pavement,” Kuniskis says. But Hagerty is hedging its bets – and it’s completely in the Demon owner’s favor. Dodge is providing a leather-bound “Track Tech Manual” with each car. It’s sort of an owner’s manual for the drag strip. Not mentioned at the time, but Demon owners also get a full day of drag strip training at the Bob Bondurant School of High-Performance Driving. Kuniskis walks off stage and the attention is turned to the video screens and massive cage sitting at Stage Right. Some rather cheesy computer voices come over the loud speakers while the digital Hellcat seen in the first Demon teaser is pawing at the cage to be released. It tears at its “fuel supply,” ripping it from the wall. The cage fills with fuel, as if to suggest the wild consumption the Demon needs when racing. Then the Demon rolls from its cage for the first time. But rather than calling that good enough, the car pulls up to a mock drag strip. It pre-stages, but sounds a bit strange; that’s just its four-cylinder mode building boost in the supercharger. It lights up the 315-series Nitto cheater slicks for heat. First…. Second… Third gear and the smoke billows from the Demon. The Demon pulls away from the line, lifting its optional skinny front tires off the ground for 2.92 feet while pulling 1.8 Gs – both world-record stats. The Demon hits 30 mph in just 1.0 second then 60 mph in a blistering 2.3 seconds. Flames shoot from the track for dramatic effect. Had the strip been long enough, the Demon would have run the quarter-mile in 9.65 seconds at 140 mph. That easily makes it the fastest production car in the world. Dodge uses the break after Kuniskis to introduce a 30-second TV commercial spot for the Demon, after which Vin Diesel walks out. 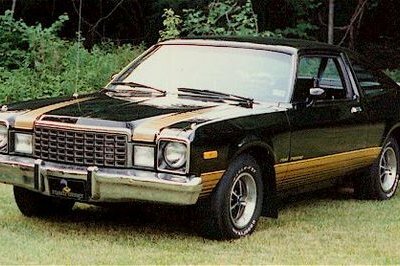 Yeah, it’s hard not to understand and appreciate Dodge’s love affair with Diesel (and his character’s) influence on the brand’s perception in the marketplace today. 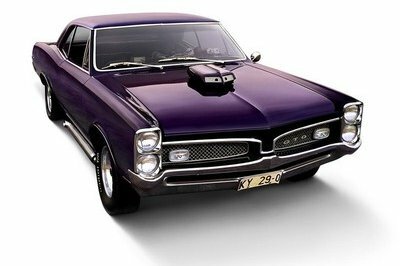 As he says, that iconic scene with the 1970 Dodge Charger in the last part of the first Fast and Furious movie started a passion for muscle cars in kids. And that was way back in 2000. Fast forward 17 years, and Dodge is capitalizing on that hard, with talk of “brotherhood” and such. 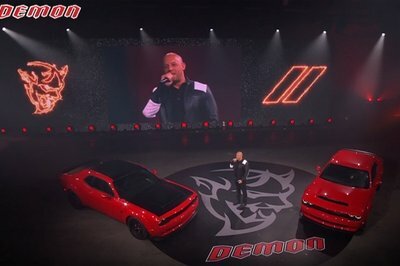 Diesel announces his new position as an ambassador for Dodge, along with the well-known fact the Demon would hold a starring role in the Fast 8 movie. Yet another 30-second TV spot is debuted, this time featuring Diesel and smoky, tail-happy action from Dodge’s lineup. Surprisingly, even the Journey makes a split-second appearance. Chris Jacobs comes back out as Vin Diesel walks off stage yelling, “We love Dodge! We love Dodge!” Jacobs concludes the festivities by introducing the latest music video from Atlantic Records by Wiz Khalifa and his rapper homies Young Thug, 2 Chainz, and PnB Rock. 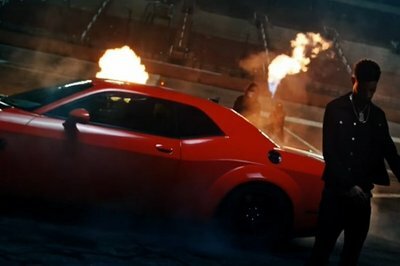 The song, Gang Up, is filled with flamethrowers, a crowd of people, and of course, the 2018 Dodge Challenger SRT Demon.